I absolutely love working with this family. This is my third event with them in the last year and its always an honor. This darling couple is truly all about family. They have a huge Italian family and never disappoint when it comes to getting everyone together, especially over Christmas. 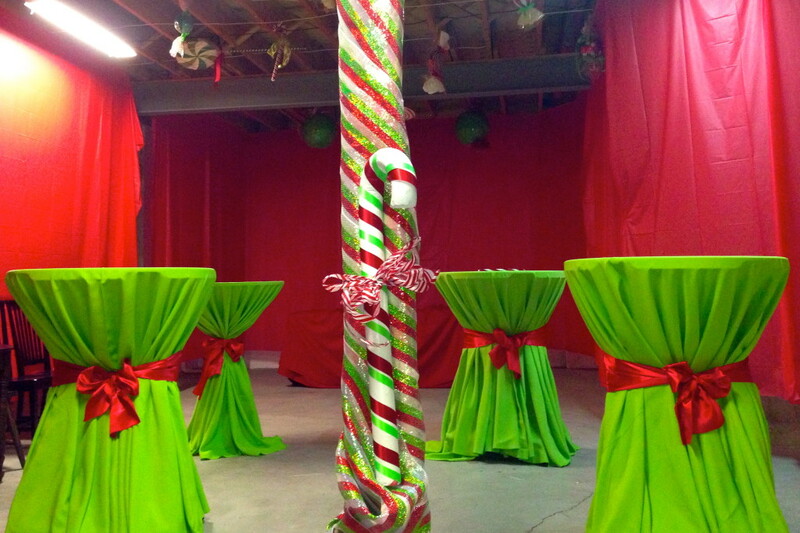 This year they wanted to setup as much as they could outside and in their basement to accommodate over 100 guests. 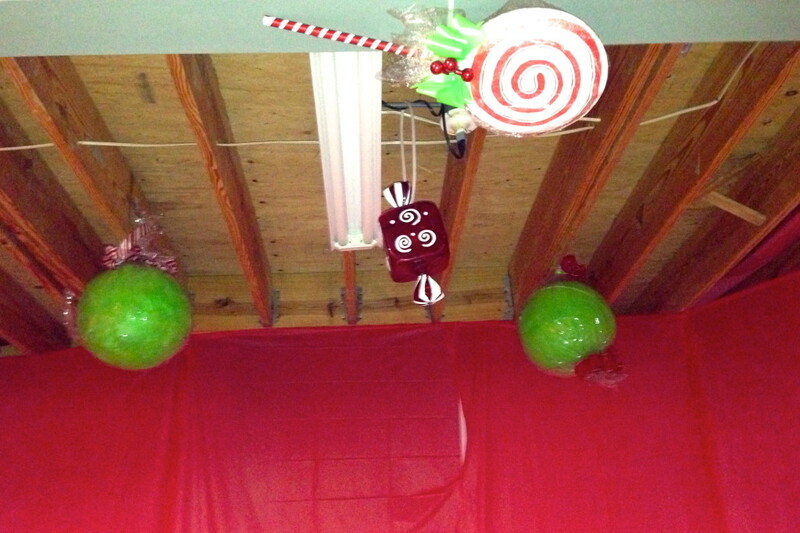 The theme of the event clearly was Christmas, everything red, white, and green. We setup a tent that attached to their garage to easily seat all of the guests comfortably. Of course we heated the tent so everyone was nice and warm, thanks to Traube Tent. Before entering the tent through the house we had a cocktail lounge area complete with a bar, bartenders, hightop tables, and of course all the decor to match our theme. 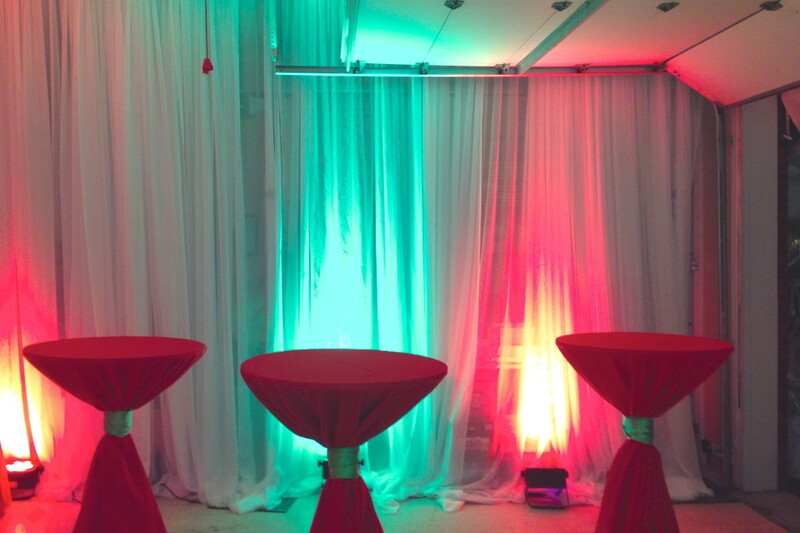 The garage was draped with linens and lighting to bring set the right tone and ambiance throughout the space. 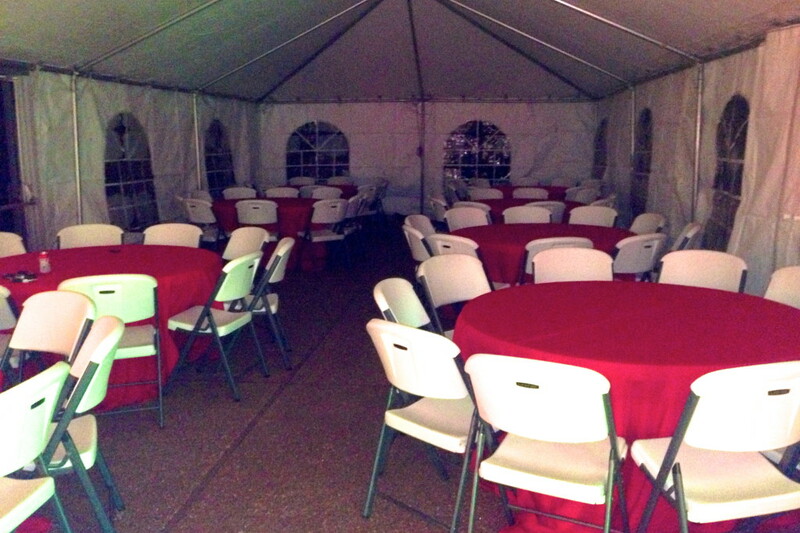 Once in the tent we had 8 round tables that sat 80 comfortably. 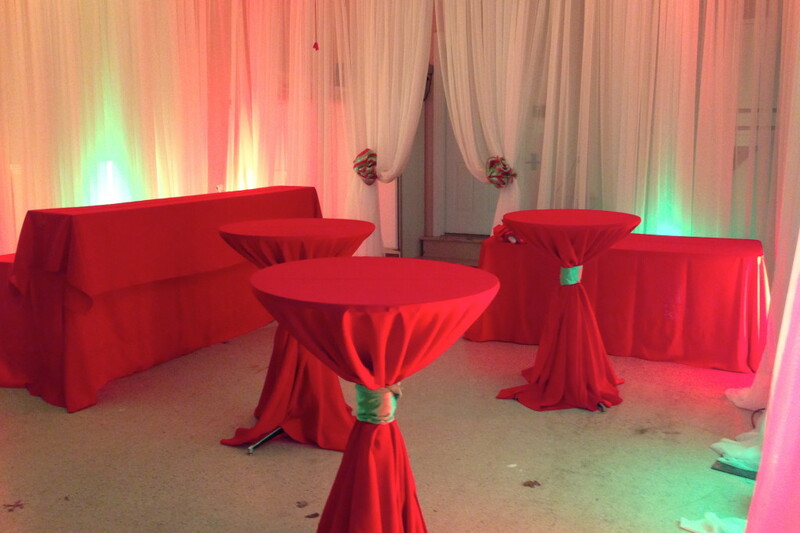 We partnered with Party and Props for all the decor and Aries Company for the table rentals, cocktail tables, and glasses. What’s nice about having a big family is having a lot of hands on deck for food. Everyone in their family brought something therefore the food did not have to be catered. The big hit of their Christmas party every year is Santa Claus. Yes, Santa himself makes an appearance and all the kids in the family get a special visit with him. 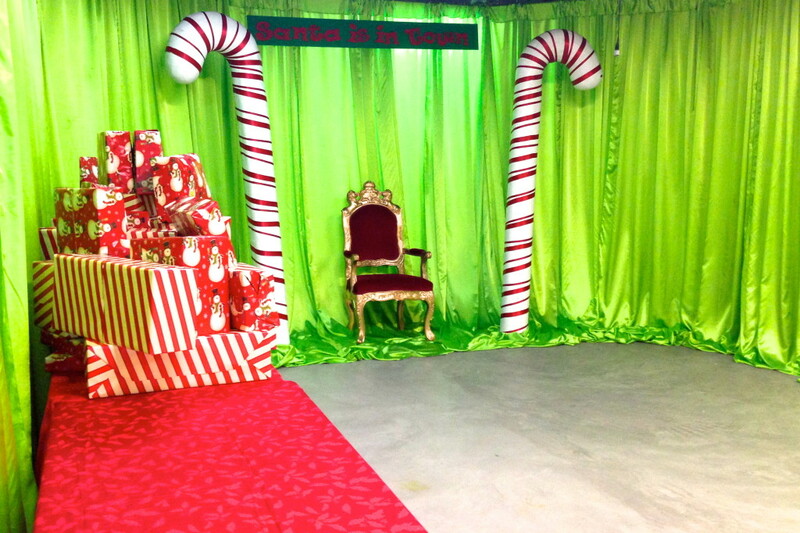 We setup a Santa Station where all the kids get to walk up and sit on Santa’s lap, a gift station where all the relatives get to play Secret Santa with the kiddos, and of course it wouldn’t be a party without music and a photobooth. We hired the talented TKO DJs to DJ and take photos of the party. 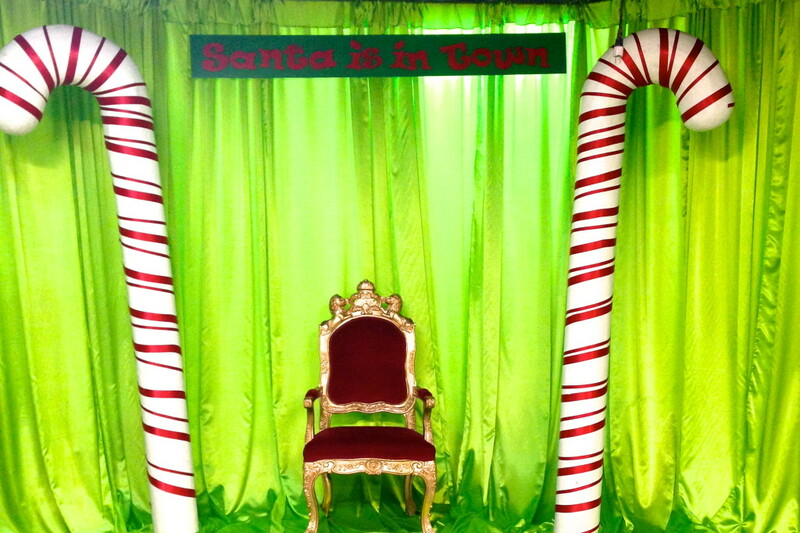 Between Santa’s visit, holiday dance party, and a photobooth the event was a complete family success.